Last week I met a total of five new dogs at Orphans of the Storm®, and I’m happy to say that three of them have already been adopted before I could write about them! But there are still plenty of pooches waiting to find their perfect match, including these two sweeties. 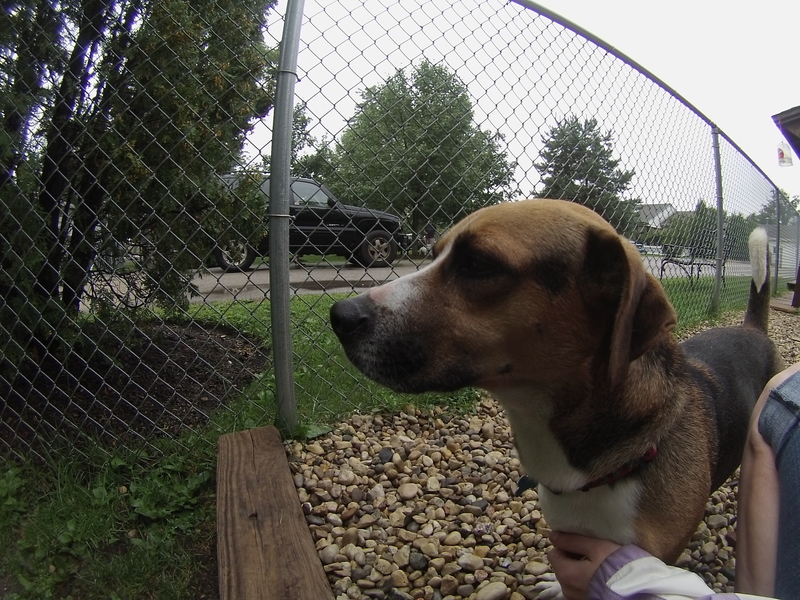 Marcus the two-year-old Basset Hound/Beagle mix is super adorable. When we first got to the off-leash run, Marcus was mostly interested in exploring on his own, but once he realized that I was there to spend time with him, he happily came trotting over and enjoyed getting pet. There were a few times where he put his front paws in my lap so we could cuddle even more. Marcus ran after a toy when I threw it, though he didn’t pick it up and bring it back to me. He seemed to prefer either standing next to me and getting lots of attention, saying hello to the dogs we saw on the other side of the fence, or following his hound nose. Marcus has those sweet puppy-dog eyes that will melt your heart as soon as you meet him. 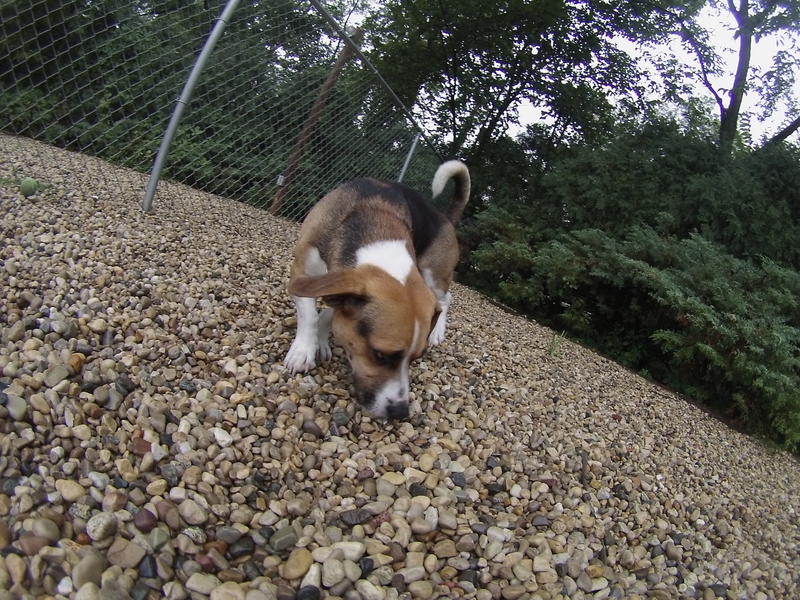 If you’re looking for a cute little companion, stop by soon to say hi to Marcus! Rufus the four-year-old Shepherd mix was happy to learn that it was his turn to come out for a walk and walked pretty nicely on the way to the off-leash run. He was a little skittish at first and sometimes jumped a bit when I pet him, but the longer we were together the more comfortable he became. Rufus even gave me a doggy kiss eventually! Rufus seems like the type of dog who just goes with the flow. He casually made his way around the off-leash run, stopping here and sniffing there. When he got used to me being around, he was happy to stand by my side and get a good scratch on his back. Rufus’ fur is surprisingly wiry in texture, which just adds to his cuteness. 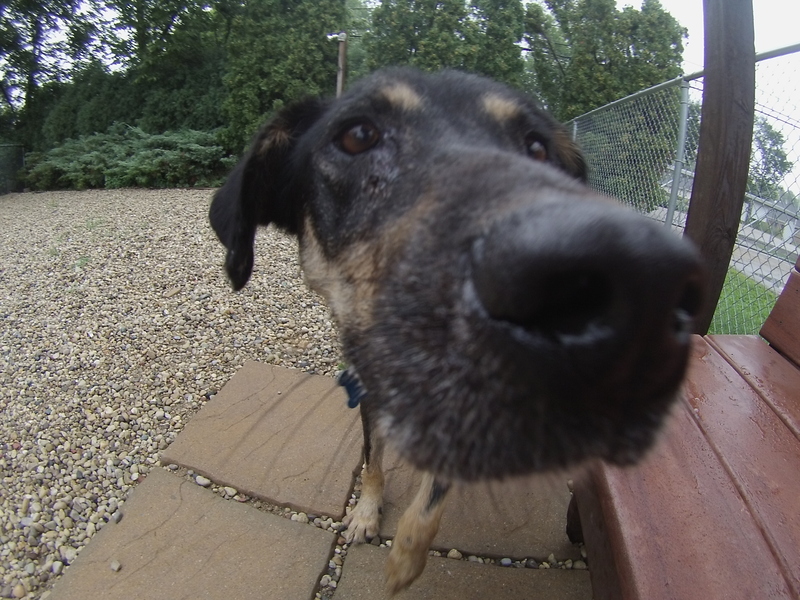 On your next visit to the shelter, be sure to say hi to Rufus! I also saw Bella, Blush, Diamond, and Lexi. Posted by Meet the Pooches on September 10, 2015 in Dog Profiles and tagged adopt, adoption, animal shelter, animals, Basset Hound, Beagle, Chicago, Deerfield, dogs, Orphans of the Storm, pets, Riverwoods, Shepherd. Has Bobo been adopted yet? I’m very interested in him. Hi Carol, thanks for reading! Bobo is still available for adoption. He went to a six-week doggy boot camp at TOPS Kennel in Grayslake a year or two ago, so he knows several commands (though he may need a refresher course, since it’s been a while). If you come to the shelter to meet him, the staff can let you know what training he received and what he still needs to work on. 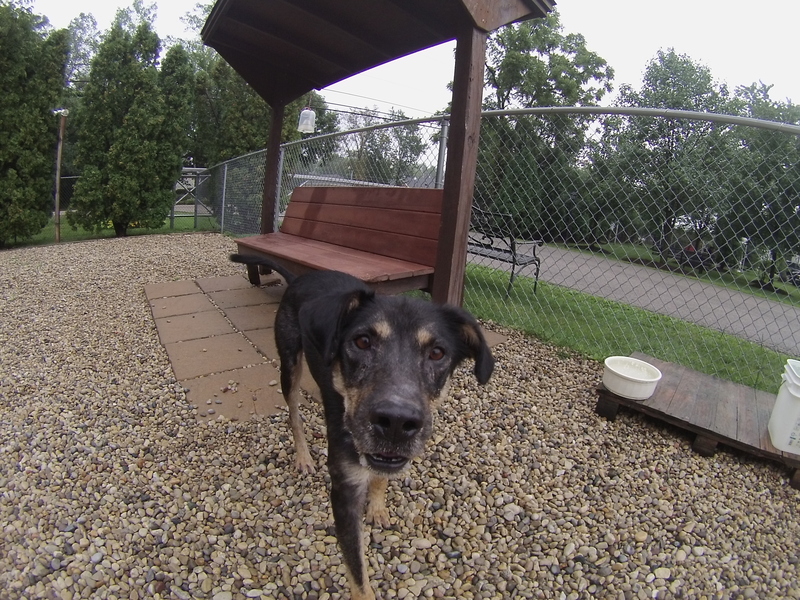 Bobo is very affectionate, loves to get belly rubs, and walks nicely on a leash. However, he does not like being told “no.” An experienced dog owner who can stick with his training would probably be best.